Andy Muschietti werkelt derzeit wohl an einer neuen Adaption des klassischen Romans von H. G. Wells. "It” director Andy Muschietti is attached to develop a movie version of H.G. Wells’ “The Time Machine” with Leonardo DiCaprio’s Appian Way producing along with Warner Bros. and Paramount Pictures. Andy Muschietti and his producer sister, Barbara Muschietti, have written a treatment for the film and Andy Muschietti will direct the project. Barbara Muschietti will produce with DiCaprio and Appian Way’s Jennifer Davisson. Wells published the original “Time Machine” in 1895 with the unnamed Time Traveller using a machine to stop in A.D. 802,701, where he finds that society has devolved into an elite of Eloi and the downtrodden Morlocks, then travels 30 million years ahead to find the Earth dying before returning to Victorian times. Arnold Leibovit is executive producing. He was an exec producer of the 2002 movie version that starred Guy Pearce. The first film version was directed by George Pal in 1960. Wie nah sind die Filme denn an der Vorlage, weiß das einer? Ich mag den alten Streifen von 1960 schon seit Kindheit, der mit Pearce war ok, mehr nicht. 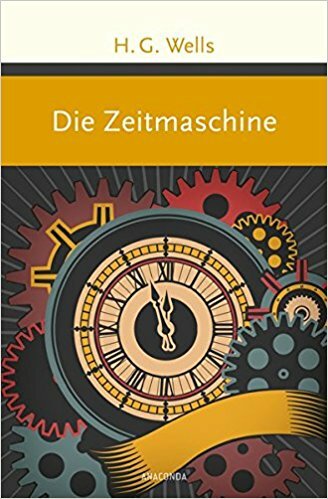 Das kann ich dir demnächst sagen, hab mir mal das Buch bestellt. Seite erstellt in 0.045 Sekunden mit 28 Abfragen.